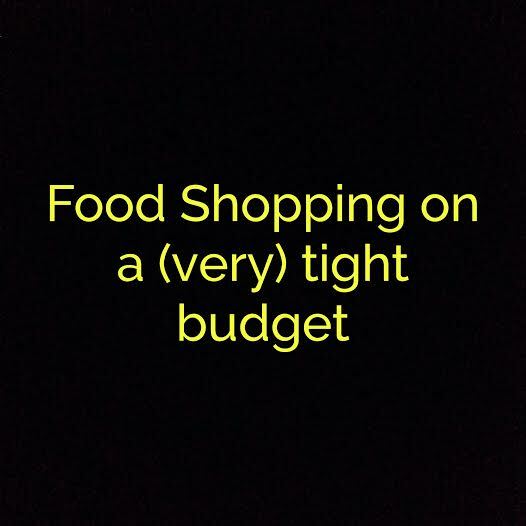 For a little while I’ve shared my grocery shopping budgets. I also blogged about it last year (you can read that here). For a while now I’ve been meaning to do a follow up but I keep losing my receipts each fortnight, so that makes it a bit harder to blog about it. The good news is that this fortnight I scanned my receipts before I lost them. Yay! Here’s the shop I did on Wednesday 16th for this fortnight. I tend to do the bulk of my staples-type shopping at Coles these days, because they’re cheaper than Woolies now. What we buy doesn’t really vary a huge deal each fortnight. We have a few things we always buy, like UHT milk and tinned dog food. I bought a heap of meat last fortnight so I didn’t buy much at all this week because the freezer is pretty well stocked. As we’re in the third week of being sick in my house right now, we put a bit more lazy food in the trolley. Normally we don’t buy frozen chicken pies, frozen pizzas or crumbed chicken strips. But the lazy and tired and sick factor is very high right now so ‘throw in the oven and ignore’ food is getting to be a priority. As usual, I allocate $20 per week to veggies from our local veggie shop – this also gets us a free dozen eggs. 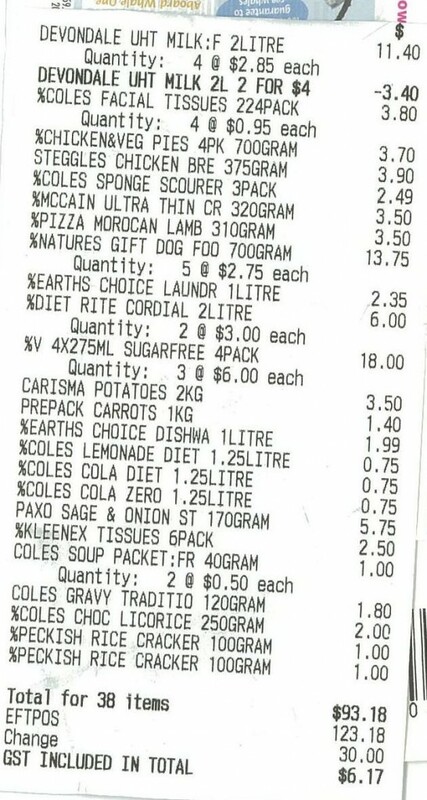 To make it a bit cheaper, we buy the cheap veg from Coles – potatoes, carrots (and onion if needed). 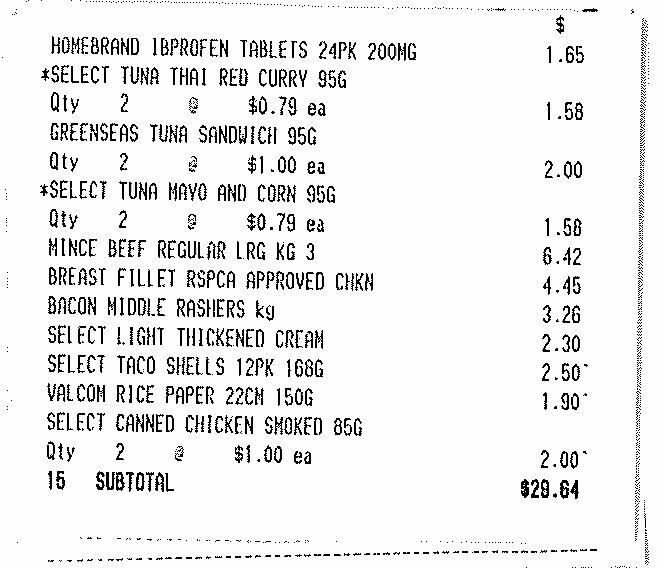 There were a few things that were on sale in Woolies (minced beef, primarily) so I did a small shop there with bits and pieces to fill out meals for the fortnight. Overall this was a pretty good fortnight as we didn’t need too much. 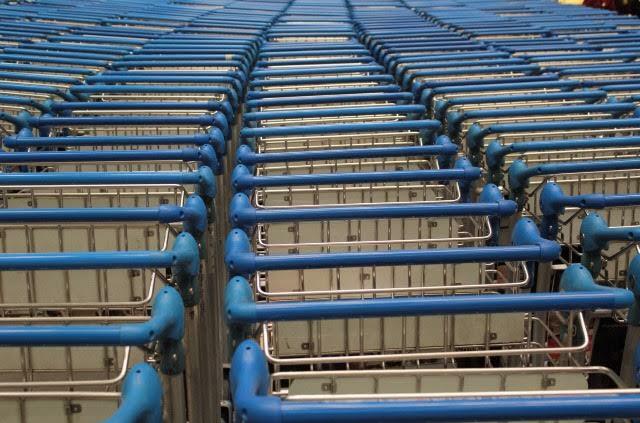 How much was your most recent grocery shop? My biggest saver is that my local woollies often marks down meat 3-4 days before its use by date, so I stock my freezer that way. Sale and use-by is pretty much the only time I buy meat now. I aim to buy in quantities big enough that it can last until the next time it’s on sale. Right now I use Coles Online for my weekly supermarket shop and spend anywhere from $150-200 a week on groceries for a family of 5, a dog and a cat. That includes everything from regular pantry items, meat, dairy, fruit, veg, cleaning products and so on. I’m working on getting this down. I keep saying that I need to head back to Aldi again, but online shopping suits me right now particularly with a little baby. 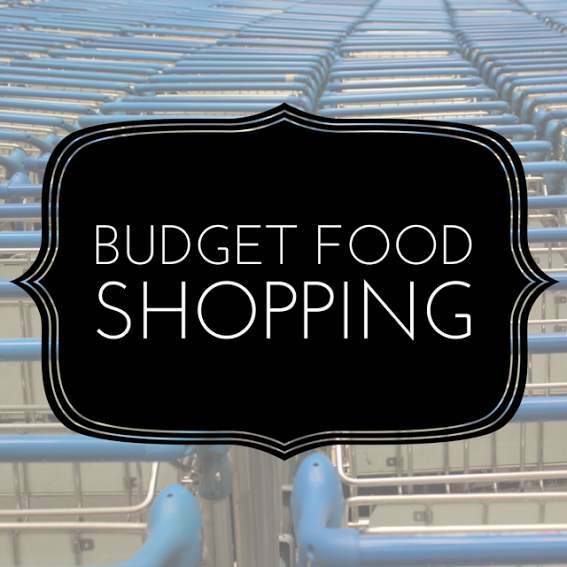 The best thing is that I can easily stick to my budget by easily removing items from my cart at the end if I have gone over. I’ve looked at using the online shopping options but I think I don’t spend enough to cover the cost of picking fees or delivery fees. I can totally get why online shopping would be easier with a baby though! I think it’s great we have those options now for when we need to use them. Haha I remember seeing a friend with a teenaged brother and how much they ate!! I don’t envy people who have kids at that stage/age. I’m really loving the new blog and branding. I’ve been completely slack with keeping up with blog reading and commenting at the moment. I need to find a stunt double. Thanks 🙂 I put it off for ages because I thought it would be hard and expensive and it turned out to be easy and free haha. I have also been pretty slack on blog reading but I’m trying each week! That is impressive for 2 weeks of groceries! We keep a pretty stocked pantry with the basics so that we don’t have to buy too much. Some weeks cost more when I find bulk bits of meat to buy!